Your kitchen is worth more. 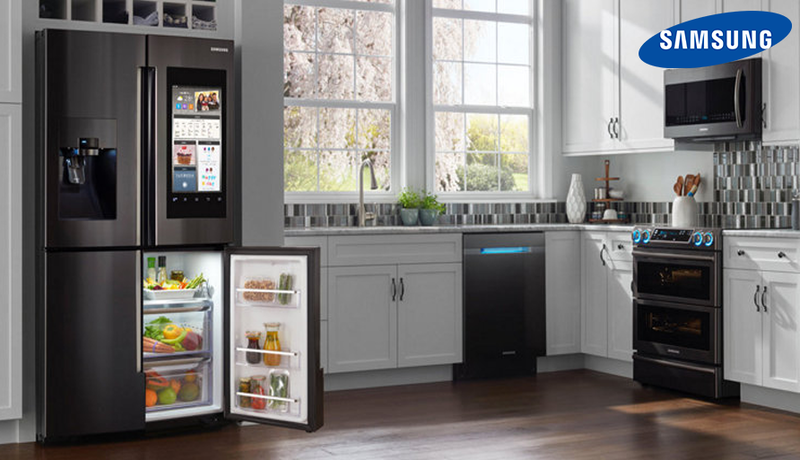 Refrigerators Samsung maximally meets the requirements of a modern and successful person who highly appreciates the current design and the latest technology. Thanks to a modern, elegant design, in which there is nothing superfluous, the refrigerator will perfectly fit into the interior of any kitchen. Its large interior space is thought through to the smallest detail. Wide-open doors allow you to immediately see all of its contents – now your favorite products will always be at hand. helps to maintain the freshness of your products and prevents odor mixing between the cameras. It controls and optimizes temperature, maintaining the necessary humidity level. It is specially designed for those products that can keep their freshness only under conditions of a special temperature regime. At your choice, four levels of cooling and freezing – from -23 to +2 degrees. Thus, this camera can easily be transformed from a freezer into a refrigerator.